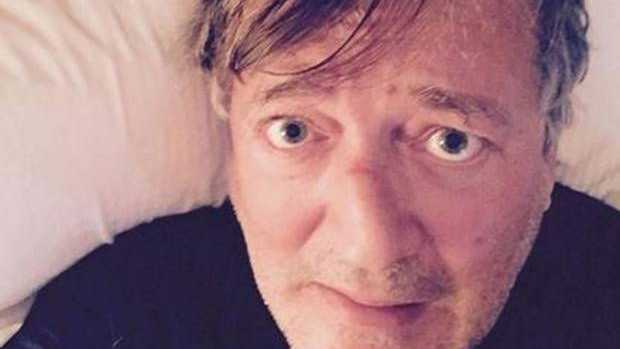 STEPHEN Fry's marriage proposal nearly didn't go to plan. The 57-year-old entertainer tied the knot with writer Elliot Spencer last month, but has revealed his planned proposal in a London restaurant almost unravelled before his eyes. He shared: "I kind of knew that he'd say yes. "We had kind of danced around the subject [of marriage]. I bought a ring and waited for him to pop off to the loo and put the ring on the prongs of a fork so that he would see it as he started to eat. "I thought it would be charming. Of course he came back and he started chatting and he started playing with the fork and I thought, 'For God's sake, look at the fork'. You don't really ever look at forks, do you? And I thought, 'He's going to pick it up and the ring is going to fly off into that lady's soup.'" However, Elliott noticed the ring just in time. Stephen told The Jonathan Ross Show: "Fortunately he, just in time, caught sight of it. And it was a very teary and splendid moment." Stephen also revealed how he first met his new husband, and joked about their 30-year age gap. He explained: "We met at a friend's house. I knew pretty much straight away that this was someone I wanted to spend, what I considered, the rest of my life with. "Whether he thought the same because he's got rather a lot more [life to go than me]. "There is an age difference and I keep forgetting which way round it is but I think he's younger than me ... but I don't mind..."